We spent a few days with a gasoline-powered 2018 Chevy Equinox back in May, but now we've driven a much rarer version. 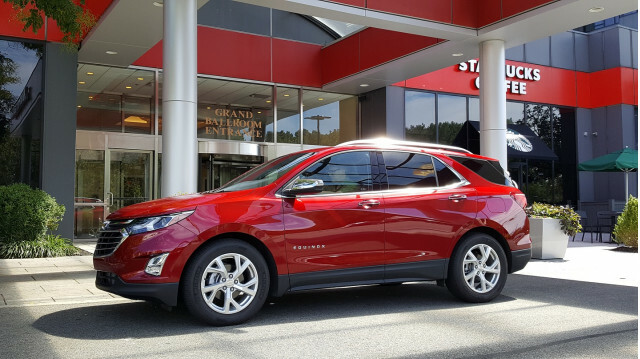 The 2018 Chevrolet Equinox Diesel will start to arrive at U.S. Chevy dealers within two weeks, the company says. On Wednesday, as part of a comprehensive presentation on the five diesel engines GM uses globally, we got some "seat time" in a diesel Equinox. Unfortunately, it was a very, very short drive: about 12 minutes, most of it at speeds below 40 mph. We goofed on one part of the route instructions, and managed to travel two exits (about 1.5 miles) at highway speeds on a short section of one of the many Interstates in and around Teaneck, New Jersey. Our conclusions thus far: the diesel version of the Equinox seems relatively quiet for a diesel vehicle, and it's entirely acceptable on the road. That's really about all we could discern, and it roughly matched our expectations. 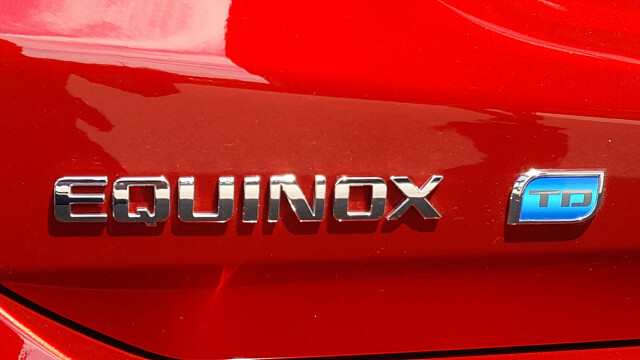 The more interesting question will be what kind of fuel economy the diesel Equinox returns. 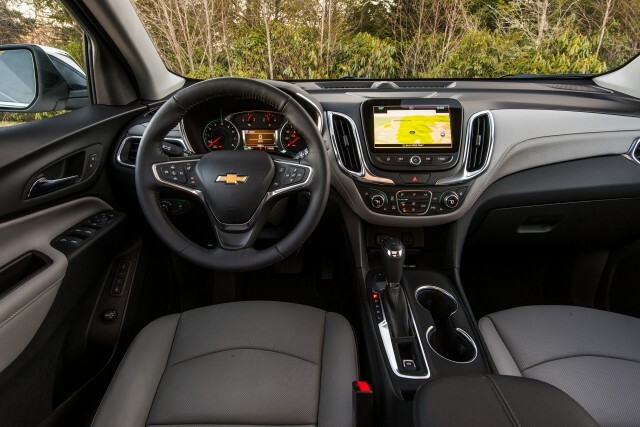 Unlike the diesel Chevrolet Cruze compact sedan, which can be ordered with a 6-speed manual gearbox or a 9-speed automatic transmission, only a 6-speed automatic is available in the diesel Equinox. 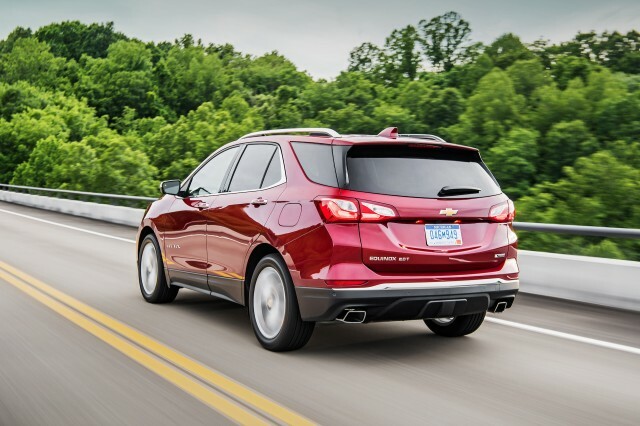 The engine's chief engineer, Mike Siegrist, explained that because the same 137-horsepower 1.6-liter turbodiesel-4 is used in both vehicles, the extra gears largely went unused as the engine worked harder to move the heavier Equinox. But the Equinox comes with a front- or all-wheel drive option, which the Cruze doesn't. Both versions of the diesel crossover are rated at 32 mpg combined, and 28 mpg in the city. The AWD version loses 1 mpg on its high-speed rating, going from the front-drive model's 39 mpg highway to 38 mpg. Chevrolet's presentation compared only the highway rating of the diesel Equinox to those of various hybrid compact crossovers, not the car's combined rating. It stressed several times that the diesel Cruze and Equinox will be most attractive to drivers who cover lots of miles at highway speeds, where the vehicles may well overachieve on their EPA ratings. Indeed, over our standard drive route of two-thirds highway miles and one-third city and suburban traffic, the automatic Cruze Diesel we tested earlier this year returned a stunning 48.2 mpg reading on the trip computer. That was significantly better than the car's EPA ratings, which are 31 mpg city, 47 mpg highway, and 37 mpg combined. Diesel fuel has roughly 20 percent more energy per gallon, but its cost differential with gasoline is less than that in most states, making it a good value. The price differential for the diesel engine, however, compared straight across to an Equinox with the 1.5-liter gasoline turbo-4, is $2,195. Oil changes are required every 7,500 miles for the diesel engine, Chevy says, and the 4.1-gallon tank for Diesel Exhaust Fluid (urea solution) holds enough for 5,000 to 6,000 miles. The Equinox won't necessarily have the diesel compact crossover market to itself, however, if Mazda follows through on its plans to launch a 2018 Mazda CX-5 diesel. After a lengthy delay during which Mazda concluded that a pricey selective catalytic reduction, or urea injection, system would be required to clean the exhaust adequately, that vehicle is expected to launch sometime this fall. For the subset of small crossover buyers interested in diesels, then, it should prove an interesting comparison—and might possibly get Mazda a bit of consideration from the much larger pool of Chevy buyers to boot.